All India Institute of Ayurveda (AIIA) has signed Memorandum of Understanding (MoU) with IIT (Indian Institute of Technology)-Delhi to enhance research in the field of Ayurveda. The MoU was signed on sidelines of two-day conference on “Raising towards Excellence” held at New Delhi. As of part of MoU, AIIA will invite technological experts from IIT Delhi for research in ancient Indian medicine. Delhi based AIIA is apex institute for Ayurveda in the country under Ministry of AYUSH. Appointments Committee of the Cabinet (ACC) has approved renewal of appointment of Prof Anil D Sahasrabudhe as the Chairman of the All India Council for Technical Education (AICTE) till he attains the age of 65 years. He was joined AICTE as Chairman in July 2015. Prior to his appointment as AICTE chairman he was professor of Mechanical Engineering at Indian Institute of Technology (IIT), Guwahati. AICTE is a statutory body established in November 1945 that comes under the aegis of Department of Higher Education, Ministry of Human Resources Development. It accredits graduate and post graduate programs at Indian institutions. In honour of local deity Prabhadevi, Western Railway renamed Elphinstone Road suburban railway station in Mumbai, Maharashtra to Prabhadevi Station (PBHD). The station was initially named after Lord Elphinstone, who was Governor of Bombay Presidency from 1853 to 1860. In December 2017, Maharashtra legislature had approved Bill to rename Elphinstone Road station, Chhatrapati Shivaji Terminus (CST) and Chhatrapati Shivaji International Airport. European Union (EU) and Japan have signed Economic Partnership Agreement (EPA) at EU-Japan summit in Tokyo by EU Presidents Jean-Claude Juncker and Donald Tusk and Japanese Prime Minister Shinzo Abe. It is biggest ever trade deal negotiated by the EU and creates free trade zone covering nearly third of the worlds GDP. EPA removes vast majority of €1 billion of duties paid annually by EU companies exporting to Japan and number of long-standing regulatory barriers. It also includes for the first time a specific commitment to the Paris climate agreement. UK Space Agency has selected site at Sutherland on A’Mhoine peninsula on north coast of Scotland for its first spaceport to launch rockets vertically and put satellites in orbit. For development of this spaceport, UK Government is going to provide $3.3 million funding and will be built with help of consortium of companies. This is suitable for launching small satellites particularly, which are often placed in polar orbits, circling Earth and passing over Arctic and Antarctic. 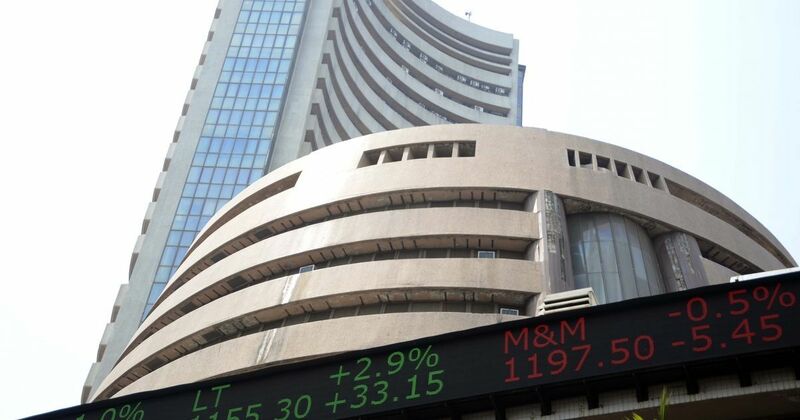 Stock exchange major Bombay Stock Exchange (BSE) founded in 1875, has secured image trademark for its iconic building, Phiroze Jeejeebhoy Towers located on Dalal Street in Mumbai, Maharashtra under Trade Marks Act, 1999. Henceforth no one can use images of the Phiroze Jeejeebhoy Towers for commercial purposes without consent from BSE or paying it licensing fee. BSE’s Phiroze Jeejeebhoy Towers serves as barometer of Indian economy. Mumbai’s Taj Mahal Palace hotel was first building in India to acquire image trademark under Trademark Act of 1999 in June 2017. UN Environment Programme (UNEP) has entered into partnership with search engine giant Google to monitor impacts of human activity on global ecosystems by using sophisticated online tools. The partnership was launched during High-Level Political Forum on Sustainable Development at United Nations (UN). The aim of the partnership is to develop platform to enable governments, NGO’s and public to track specific environment-related development targets with user-friendly Google front-end. The Nelson Mandela International Day was observed globally on July 18, 2018 with the theme ‘Take Action! Inspire change!’ The international day marks the 100th birth anniversary of Mandela, the anti-apartheid revolutionary. The centenary year offers an occasion to reflect on Mandela’s life and legacy and to follow his call to make the world a better place. The Nelson Mandela Foundation is dedicating the 2018 Mandela Day to action against poverty, honouring Nelson Mandela’s leadership and devotion to fighting poverty and promoting social justice for all. The Supreme Court on July 17, 2018 condemned mob lynching incidents across the country and urged the Parliament to enact a law to deal with the crime that threatens rule of law and the country’s social fabric. The Bench comprising Chief Justice Dipak Misra, Justice AM Khanwilkar and Justice DY Chandrachud ruled that a special law in this field would instil a sense of fear for law amongst the people who involve themselves in such kinds of activities. States are directed to take disciplinary action against the concerned officials if it is found that such officials did not prevent the incident, despite having prior knowledge of it or where the incident has already occurred and officials did not promptly initiated criminal proceedings against the culprits. 1. Who is the chairman of the All India Council for Technical Education (AICTE)? 3. With which among the following country European Union (EU) has signed Economic Partnership Agreement (EPA)? 4. When was Bombay Stock Exchange (BSE) founded? 5. Which is the first building in India to acquire image trademark under Trademark Act of, 1999? 6. With which company UN Environment Programme (UNEP) has entered into partnership to monitor impacts of human activity on global ecosystems by using sophisticated online tools? 7. When is the Nelson Mandela International Day observed across the world? 8. Who among the following is not a member of bench of the Supreme Court that condemned mob lynching incidents across the country? Thank you its helping me….